If you frequent VgamerZ (which you should), you’ve probably seen me posting about Dark Souls or something relating to the franchise as a whole. Nearly half of my articles on this site relate to or reference the Souls series in some way or another and it is my favourite series of all time. I consider myself a Souls veteran, though most would call me a fanboy, and I’ve learned many things throughout my difficult times in Drangleic, Yharnam, Boletaria, and Lordran. I am here today to provide you with twelve tips that will help newcomers and veterans alike. I hope that it might enable you to have an easier time in the difficult and unforgiving opening hours of one of the hardest games on the PS4. 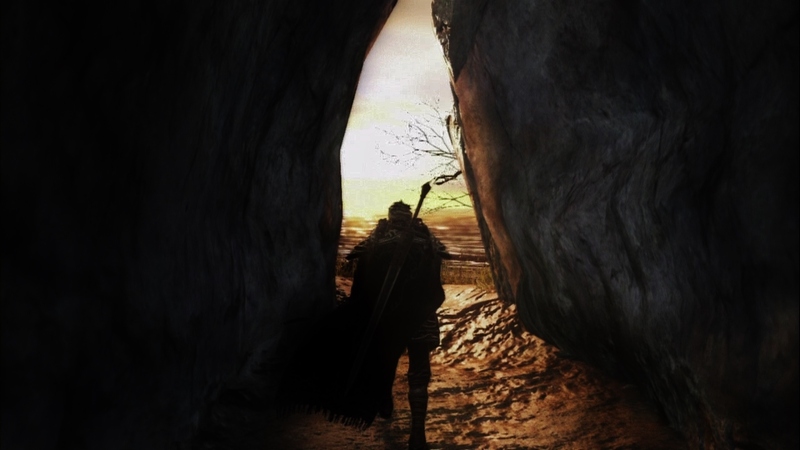 Dark Souls II: Scholar of the First Sin. This decrepit woman carrying way too much on her brittle back might have you doing a double take to ensure that you didn’t just turn your back on a foe, and I get that. However, you should definitely keep your sword sheathed so that you may have a lovely and harmless conversation with a woman that is almost too eager to sell you her wares. she provides extremely useful items like Life Gems, Pharros’ Lockstone, a key to unlock the blacksmith in Majula, and numerous others that will eventually become unlocked as you progress throughout your journey in Drangleic. You should spend some time at the beginning of the game earning enough Souls that you can purchase the aforementioned items, as they will all help you greatly. better yet, run through her entire dialogue tree and she’ll appear in Majula when you’ve cleared out the first boss! Once you’ve picked your jaw up from the floor after witnessing the beauty that is Majula, you’ll notice a few lively NPCs to converse with. The crestfallen (heh) man sitting at what appears to be some sort of obelisk near the ocean is Saulden, and he has a very important Covenant for you to join if you so desire. The Way Of Blue is a covenant that essentially protects newcomers from invaders; hostile players that can jump into your world to slaughter you in a vicious and generally humiliating fashion. It functions by automatically summoning a friendly player from the Blue Sentinels Covenant to fight alongside you as you face off against the red bully on the other side of the screen. Another way to protect against invaders is by burning a Human Effigy. If you want to be left alone, simply visit the Bonfire that surrounds the area you’re in, and hit the ‘burn’ option. When you select your Effigy, it prevents any sort of co-operation. Be warned. You are no longer able to summon either, so use this at your own discretion. If you are a new player, you might not know that you can leave messages for other players to see in their worlds. Whenever you run across some orange symbol on the ground, it’s usually a player leaving a message to either guide you, or throw you off to be that guy. You can do this too by accessing it in your drop-down menu, and it has a nice benefit. If someone likes the message you’ve written, they can leave it a good rating and you will instantly receive full health. While it’s certainly not useful all of the time, it can be a life safer when you are low on healing items. You also get the added bonus of helping someone who might be more inexperienced than you that is already having a rough day, so be a nice guy and you’ll be rewarded for it. If you go to Things Betwixt and visit that bird’s nest, you’ll hear voices talking about their desire for something smooth or silky. It’s a very cryptic message at first, but it all becomes clear as you play through the game. Smooth and Silky Stones are random items of no use, or so it seems. Drop one of them on the bird’s nest and suddenly you’re given an item. The item you get is always random, and it comes from a pool of multiple potential items, so your chances of getting something good are slim. That said, it’s still highly recommended that you frequently return to drop the stones, as you could find yourself with a rare weapon or a nice ring. Just remember to drop one at time, as dropping multiple at once will not work. When creating your character, you’re given the option to pick a starting gift. They all seem really random and some seem downright useless, but one amongst them stands as my ultimate favourite starting gift, and it’s probably the one you’d least expect. Petrified Something is a seemingly pointless item, but like many things in Dark Souls II it has a hidden use that you’d probably skip. Drop that item on the bird’s nest that I previously mentioned and it gives you a random item from the aforementioned pool. The great thing about Petrified Something is that it is the best item you can drop for the birds, so your chances of getting something good are increased. I’ve had many runs where I’ve received a nice ring or some upgrade materials that I could use immediately to raise my weapon’s stats, so it’s worthwhile to choose this gift over the others. When you first venture into Majula, you’ll be tempted to explore every single nook and cranny that won’t result in your demise. You’ll also be tempted to talk to every NPC and engage in as many dialogue options as possible for their potential rewards and quests. If you make your way to the highest point in Majula, you can find a stone tablet that allows you to join the Covenant of Champions. While it sounds like an intriguing and fun covenant to align yourself with, be wary, as joining it results in the game becoming permanently harder. It’s the equivalent of being in New Game Plus on your first play-through, and it is definitely not a pushover. Furthermore, joining this Covenant will prevent all types of jolly cooperation, so forget about ever taking part in an invasion or having a friend join you for a boss fight. Most players that will venture through the game will find that they adopt a weapon that feels most comfortable to them. It’s nice because regardless of play style, there will always be at least one weapon that feels perfect for you. 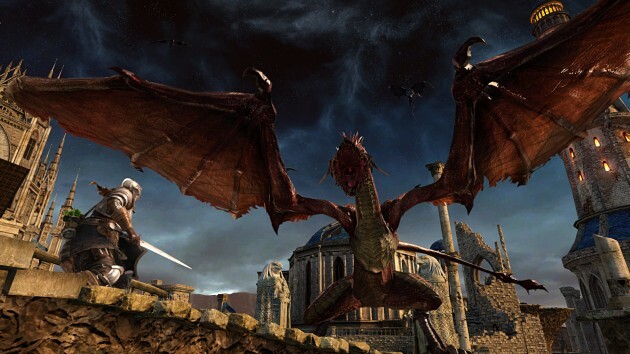 The problem is that with Dark Souls II, Fromsoftware took the idea of weapon durability to an entirely new level. Instead of it slowly wearing down over time, it now drops drastically as you fight. It’s made worse by the fact that the PS4, Xbox One, and PC versions of the game all have a durability bug that drops it even further, so this entire idea of favouring a weapon is no longer valid. You will want to swap weapons consistently throughout each stretch. Find two or three weapons you like and level them evenly (or make one a dominant weapon, it’s your choice), as you will never have enough durability to successfully explore the entire map and take out the boss in one fell swoop. While your natural instinct will be to push forth and seek the king, you would be wise to backtrack to a specific area for an item that could help immensely with invaders and enemies. The area? Things Betwixt. The loot? The Stone Ring. The way? Start at the Bonfire and trek through the house. Once you reach the bridge, cross it and head through the little gap in the rocks on the right. You’ll know you’re in the right place when you see footprints in the dirt. Swiftly end the life of that disgusting cyclops and the ring is yours. The Stone Ring is a ring that buffs your poise, a stat the is centred around staggering your foes leaving them open for combos. It is a fantastic ring to equip early game, as it adds a considerable amount of poise to your character and practically ensures that any small enemy you encounter will face the wrath of a good stun-lock. How early you go is up to you, but I generally go the moment I get done making my character. Dark Souls II, like the other Souls games, holds two unique attacks that you can utilize to exploit almost any foe the game throws at you for massive damage. The first move, the back stab, is rather easy to pull off and rewards you with a combo that both destroys the enemy’s HP, and leaves him begging for mercy on the ground. Simply walk behind an enemy (as the name implies), and plant your sword in his back by means of the R1 button. You have to almost perfectly align yourself with the back, so practice it well. The second move, and the more challenging to master, is the parry. To parry an enemy, you must hit L2 to smack the weapon of your opponent away with your shield as he is just about to land his blow. It is very tricky to get it down, but when you do, it gives you the opportunity to follow up with a crushing riposte. Just tap the R1 button directly in front of the enemy when he is stunned, and you will be watching his corpse fade away into the wind. Picking a starting class is a unique experience in the Souls series. Most RPGs cement you into your class and force you to play by the rules of that specific class, but in Dark Souls II it’s different. You can choose any class and come out of it using any weapon or spell, depending on how you decide to build your character. That said, it’s still vital that you choose a suitable class to start the game with. I personally like to choose the Knight, as it offers me enough Strength to wield any early-game strength weapon, and enough dex that if I add a few points to it, I can also wield any dex weapon I find. It offers great vigor and enough vitality that you can wear most medium armour with the exception of the Drangleic set. How you build your character is up to you, so consider what you want to be doing and choose accordingly. If you find that you’re struggling with a particularly frustrating area or boss, it might be wise that you summon help. Furthermore, if you require souls but hate the idea of grinding them, you can always place yourself in another player’s world to aid them in their time of desperation. To summon a player, you must be in your human form. You can check this by looking at your health bar to see if it has it’s maximum health reduced, or by the colour of your character’s skin. If you aren’t human, defeat a boss, successfully help a player, or pop a human effigy. Once you’ve done this, you’ve met the only requirement to summoning for help. Look for a white or yellow sign on the ground, as they are other players or NPCs that will join your world to fight alongside you. Simply walk up to it and hit X and you will be on your way to victory in no time. If you value helping others, take a trip to Forest of Fallen Giants and find an NPC named Mild-Mannered Pate. He can be located after the Pursuer optional encounter, near the ballista room. Talk to him and follow his advice, but be warned, as he leads you into a difficult trap and you must successfully escape it to be rewarded. When you become victorious, talk to him again and he’ll award you the White Sign Soapstone. Place this item on the ground near a boss or Bonfire, and you’ll be summoned into the world of another player. Hopefully these tips will aid you in your struggle with the opening hours of Dark Souls II! If you’re looking for more tips to ease your pain, check out my Bloodborne Tips & Tricks guide. It is also a Souls game so you can apply several tips to Dark Souls II. Good luck and praise the sun!